If you’re looking for professional advice to book a hospitality event or milestone celebration, our team here at Function Fixers are seasoned party and event planners. Not only will we help you find the perfect venue, we’re also happy to assist with all the other little details that go into a successful event. Just give us a call on 020 7186 8686 and let’s have a chat. Take entertainment, for example. If you’re thinking of adding live music into the evening’s proceedings, there’s a whole extra set of terms and conditions that come into play. Before you’re ready to sign contracts with your venue, here are some key questions you need to get answers to first. 1 – Does the venue have a licence for live music? 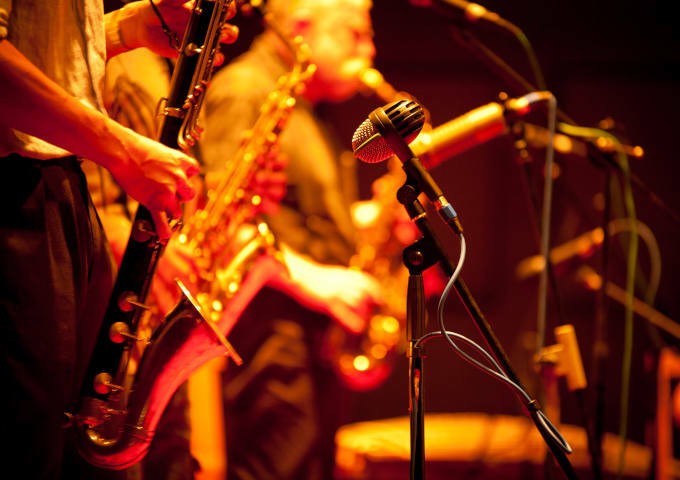 First off, hiring a band for your event requires the venue to have a music licence. This is by no means a given – so do check that they’re allowed to host amplified live music as part of their licence agreement, and what the time restrictions are. If the answer is no, you may still be able to have music such so long as it’s acoustic. Perhaps a refined string quartet or quirky jazz ensemble? 2 – Does the venue have a sound limiter? With live music having the potential to be very loud indeed, sound limiters have become a bit of a ‘must have’ for event spaces. It’s a little device that can detect the volume of a room and will simply cut the power off if the noise exceeds a set limit, usually somewhere in the region of 85-105db. Most bands are familiar with sound limiters and accept their inevitability, particularly in urban party venues. 3 – Is there a built-in PA system at the venue? Some venues have their own PA system and insist that the band use it, as well as the in-house sound engineer. If this is the case, you will need to make sure that the band’s technical spec and the existing PA spec are compatible. If there is no sound system at the venue, or the band wishes to use their own, do make sure that this is acceptable. 4 – Does the venue have sufficient power supply? Not such a silly question, especially when you think about outdoor spaces where power supply may well be an issue, and particularly when it’s dark at night. Check if there are exterior sockets or extension cables from the main building, or if the venue has a generator for outdoor performances that could be used. 5 – How much performing or stage space is available? It’s important to book the right number of musicians for the size of the venue. No point booking a full big band orchestra if there’s only room for a 4-piece line up. Check the space requirements of the band – you’ll need at least a square metre for each band member and 3 square metres for the drummer – and double check that the venue can accommodate them. 6 – Is there plenty of parking/unloading space at the venue? Musicians travel with a lot of equipment that needs to be unloaded and set up before the event, so check that there’s a loading or parking bay available close to the building. Central London venues in particular may have limited space. Also, if there’s no on-site parking, you may need to cover parking fees elsewhere. 7 – How will the band be looked after? Professional venues should have a green room for the band to get ready before the event, and to relax afterwards – in fact many musicians will insist on this. And what about food and drink? Can the venue accommodate requests for meals and soft drinks for the band? If not, it’s best to find out early, so alternative arrangements can be made in good time.